One of the biggest attractions for the coach holiday and group travel market in South West England is the West Somerset Railway, England’s longest steam line. Running between the village of Bishops Lydeard, four miles west of Taunton (M5 Junction 25) and Minehead, trains proceed at a stately 25 mph through the Area of Outstanding Natural Beauty that is the Quantock Hills and then along the coast to Minehead. That 25 mph is the maximum allowed on a heritage railway and gives the passengers a journey time of around 80 minutes for the 20 miles of line and the stops at the 10 beautifully restored and maintained stations along the way. Not so much a white knuckle as a pink knuckle ride perhaps? 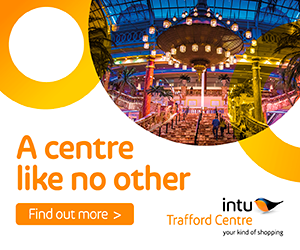 Discounted travel is available for pre-booked groups of 16 or more adults/seniors. Booking should be done at least 10 days before the date of travel. More information about group travel can be obtained by ringing 01643 700398 or e-mailing groups@wsrail.net. Round trips for groups on the West Somerset are possible but the majority of the coach trade makes one way journeys with the coach setting down and picking up passengers at either end of the train journey. Of course it is useful if an attractive destination can be combined with the steam train trip and mindful of the age demographic of many travelling by coach for leisure the medieval village of Dunster has much to commend it. Dunster station is about one mile from the centre of the village itself. A coach can meet the train at Dunster station for the transfer to the village but a popular alternative is to give passengers a full trip over the line to Minehead, where the coach park is adjacent to the station, and then travel the two and half miles back to Dunster. 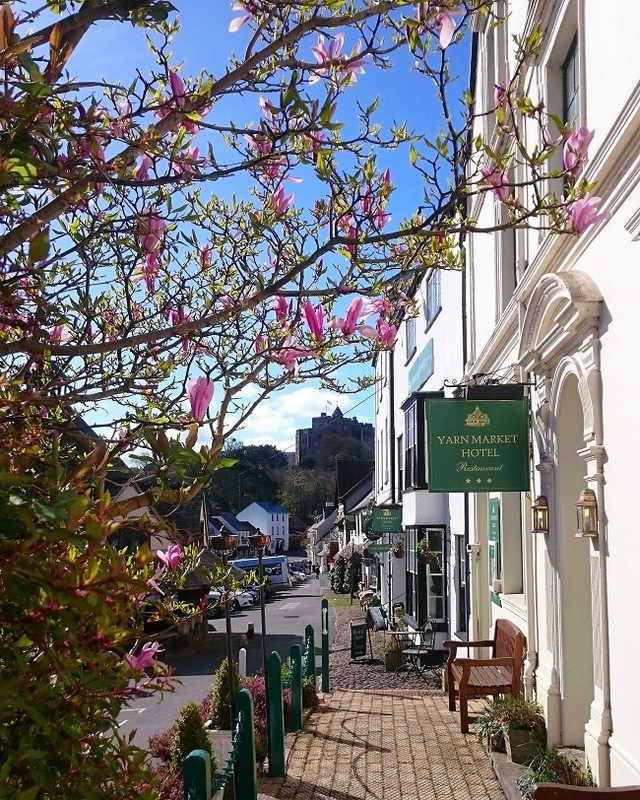 Dunster village has many attractions and has of course been used as a film location (it featured in the edition of “Poirot” called “The Cornish Mystery” and although a long way from Cornwall we must allow for film companies’ use of English geography). 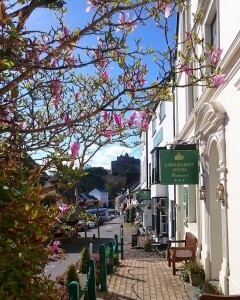 The main street is overlooked by the 1000 year old castle which is now in the care of the National Trust. 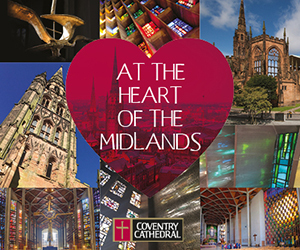 Visitors will also find a working watermill, the packhorse bridge, the tithe barn, a dolls museum, a fine church and the old Yarn Market building. Standing next to the last named historic building is the Yarn Market Hotel which has its restaurant open for light refreshments (soup, sandwiches, tea, coffee, biscuits) throughout the year and is conveniently placed some 300 yards from the village coach park. Fuller lunches can be arranged for pre-booked groups. 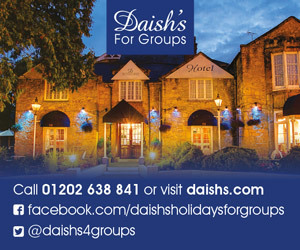 Contact via 01643 821425 or hotel@yarnmarkethotel.co.uk. 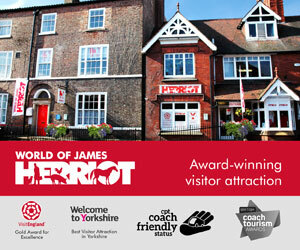 The Yarn Market Hotel is 3 Star rated and has 28 en-suite rooms. Situated in Exmoor National Park, the majority area of which is in Somerset not, as popularly believed, Devon it is placed to act as a base for touring groups looking to explore Somerset, North Devon and the Moor itself and as the village is quiet in the evenings and at night guests are spared nocturnal disturbances and a reason to be grumpy at breakfast. The Hotel offers a number of themed break packages, one of which is the “Railways of Exmoor”. 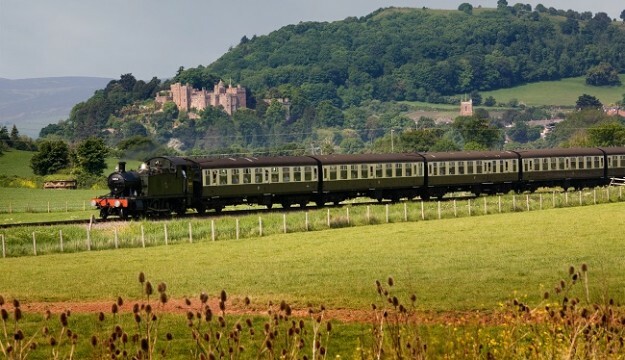 This is a three night stay at the Hotel with tickets for a full day to explore the West Somerset Railway and the communities and places of interest along its route (Minehead, Watchet, Cleeve Abbey and an independent brewery situated all of 200 yards from Bishops Lydeard station amongst others). There is also the Lynton and Lynmouth Cliff Railway and the Lynton and Barnstaple Railway. The former is a water powered Victorian link between the twin villages and the latter a revived section of a railway that closed eighty years ago but which is now being steadily brought back to life The views from both are wonderful. This break can be arranged when all three railways are operational, essentially between May and September. It is on a full board basis.